On my weekend treasure-hunting excursions throughout our gardens, I found a few tulips in bloom that the rabbits haven’t eaten. 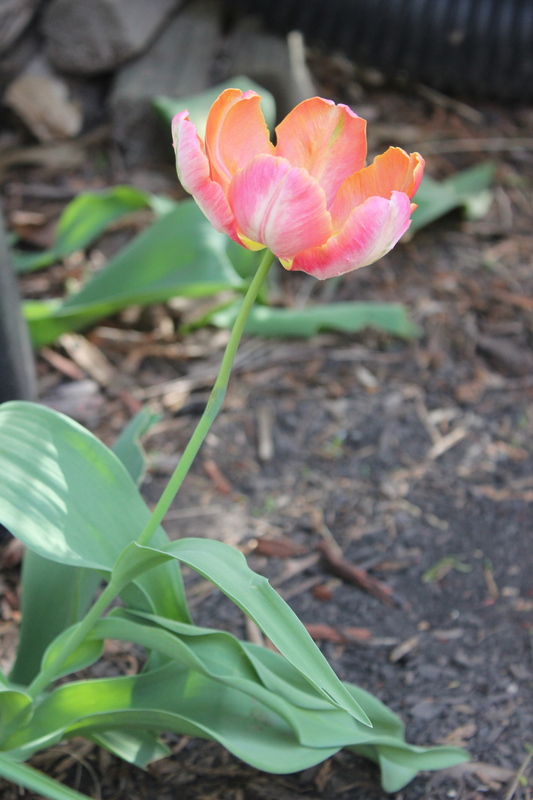 Some of the tulips came up in places different than where we planted them. I think the squirrels have been busy rearranging things for us. 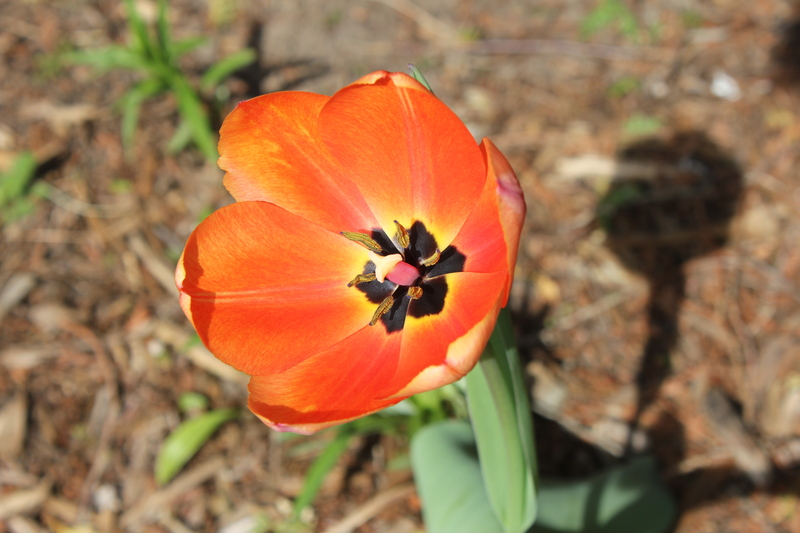 I love looking at our neighbors’s gardens which are chock-full of colorful tulips. 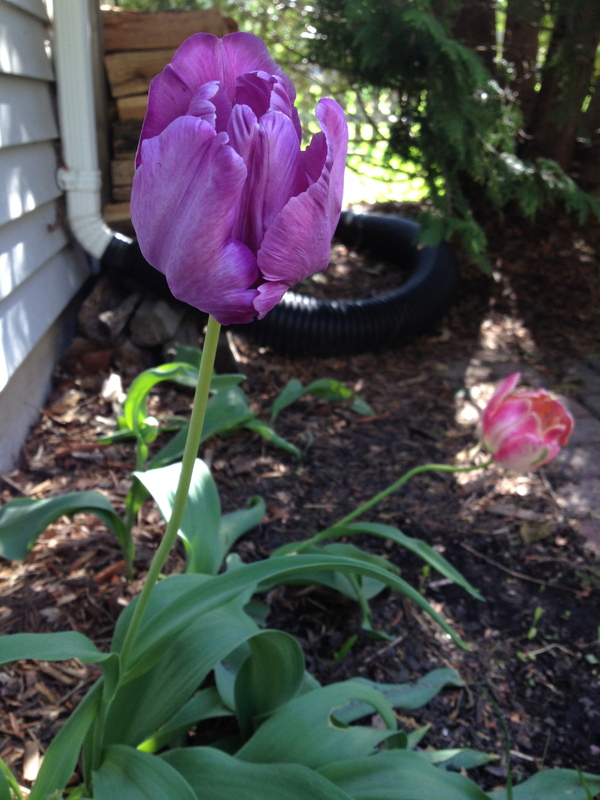 Since I didn’t have time to plant more bulbs last fall, I am cherishing the few tulips we do have. 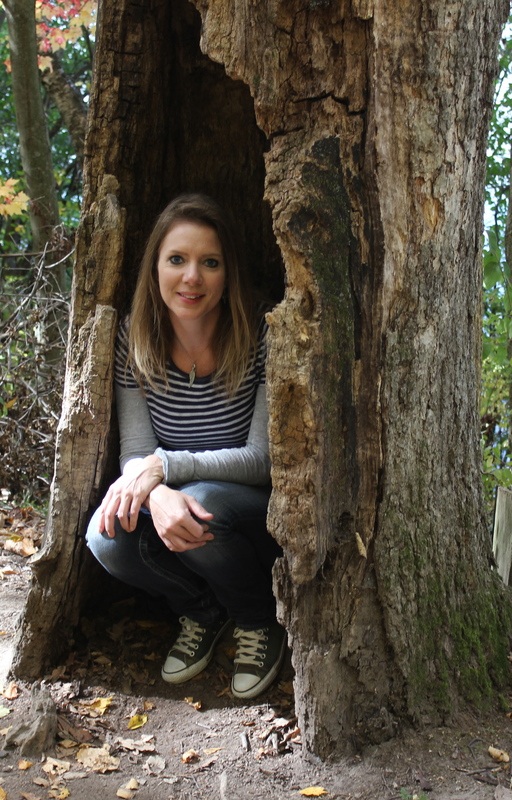 And making a note to self to plant more bulbs in fall. I think I’ll try to plant late-blooming tulips since the rabbits love to eat the early-blooming tulips which are some of the first plants to come back to life after a dormant winter. 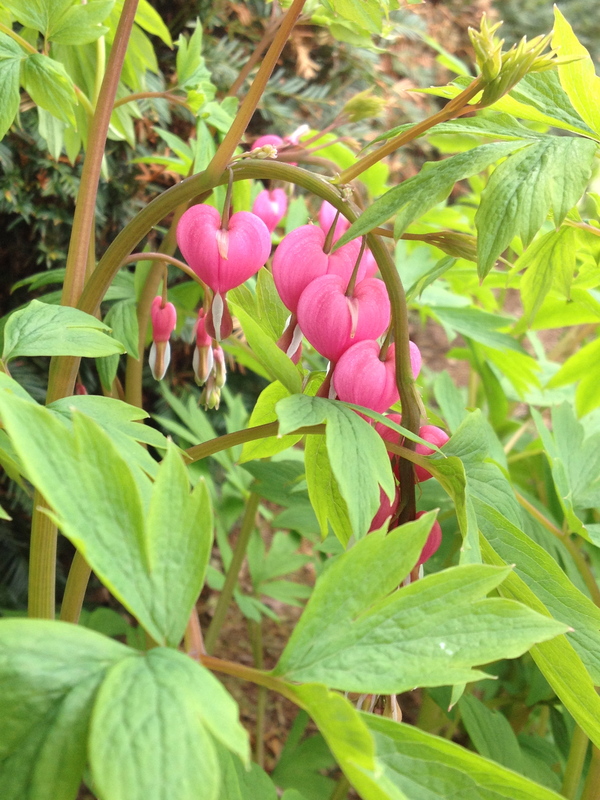 It’s always exciting when our bleeding heart shrubs start to bloom. They are such a delicate, dainty plant. They grow right next to our front porch, making it so inviting and fresh. We like that they spread because we find more new shrubs in different places each year. The Tulips are so lovely, amazing how bulbs come up each year. Tulips always remind me of Monet’s garden. Thanks Bev! It really is amazing how the bulbs come up every year, especially after the cold, snowy winters we have around here.